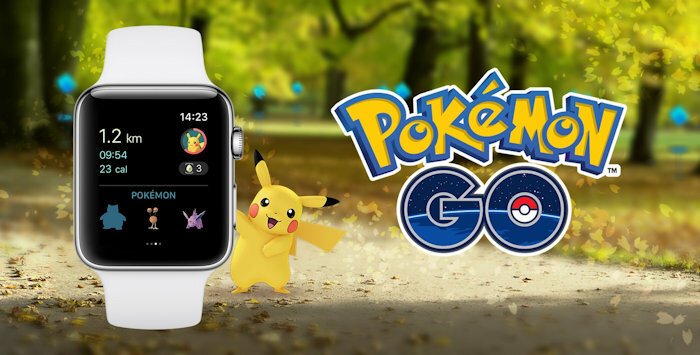 Pokémon Go has now made its way to the Apple Watch, so now trainers can get notifications right on their wrists about nearby Pokémon, PokéStops, eggs and medals. Awesome. Players can also collect goodies from PokéStops directly via the Apple Watch. This latest version of Pokémon Go also lets you log each gameplay session as a workout that counts toward your Apple Watch Activity rings. It also displays the distance traveled toward hatching an egg and receiving Candy for Pokémon. So if you have an Apple Watch, you are going to enjoy this. The Pokémon Go Apple Watch app can’t actually catch Pokémon though. That’s the only drawback. The Apple Watch activates if there’s a Pokémon nearby, but players still need to pull out their iPhones to catch the creatures. Niantic recently added new Pokémon from the Gold and Silver games to Pokémon Go, plus it threw in a Santa-hat-wearing Pikachu to entice you, That special Pikachu is only available to find and catch through December 29th so you better get on that one right away. They may even add more Pokemon functionality for the Apple Watch down the road, but it has some great features right now at any rate.